Precast Concrete Columns. Classical and Contemporary. Precast Concrete Columns add a classical effect to any architectural element. We supply Doric, Ionic, Corinthian and Tuscan capitals and fluted or smooth shafts in a range of heights and diameters. The ancient Greeks were wonderful architects. They invented three types of columns to support their buildings. There was the stylish Doric, the Ionic with its scrolls, and the fancy Corinthian. Every sandstone concrete column is made of a base, a shaft, and the capital on top. In the Ionic order, the capital is shaped like scrolls or spirals. The Doric is most easily recognized by the simple circular capitals. The Corinthian, with its offshoot the Composite, is the most ornate of the orders -elaborate capitals decorated with acanthus leaves and scrolls. . The Doric order which was the earliest, followed by the Ionic & then Corinthian order. When classical architecture was revived during the Renaissance, two more orders were added to the canon, the Tuscan order and the Composite order. 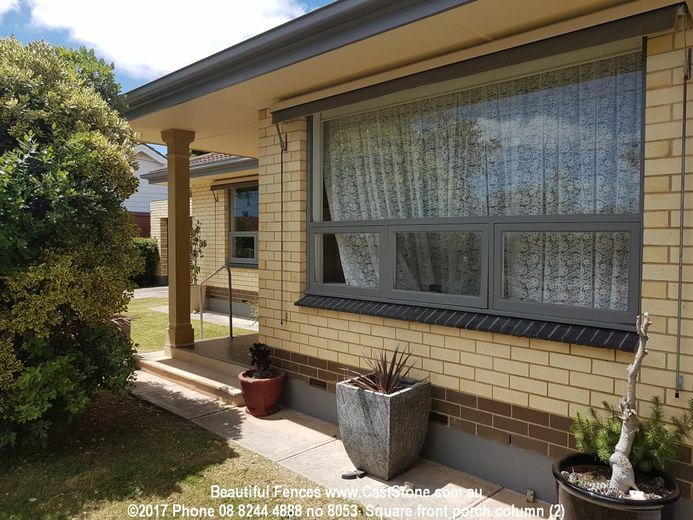 CastStone has square smooth & fluted contemporary sandstone concrete columns in different heights for a more modern style. 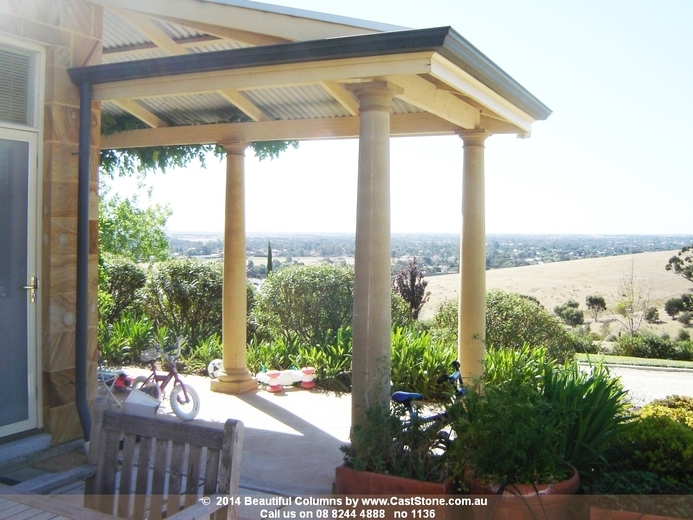 These sandstone corithian columns have a fluted shaft with a 260mm diameter at the base.